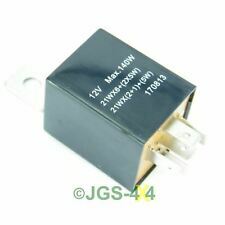 12v 6 Pin Towing Electronic LED Flasher Unit 21w x6. Quality unit manufactured by Durite similar to Hella. Discovery 1, 300tdi. Land Rover Defender 90, 110. With Glow Plugs x4. Range Rover Classic 300 tdi. Need Fast?. 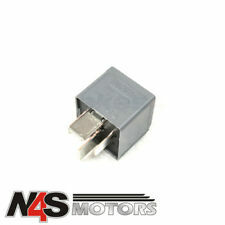 24v 6 Pin Electronic LED Flasher Unit 21w x6 Towing Similar to Hella. Allmakes 4x4. Suspension Land Rover Discovery 3 & 4 Compresseur d'air Relais. Land Rover Discovery 3 & 4. Land Rover Ranger Rover L322. Land Rover Range Rover Sport. Land Rover Range Rover Evoque. Land Rover Defender à partir de 2007. As standard. The most common "basic" versions of the 10AS have the part numbers AMR6431, AMR4896. central locking motors. 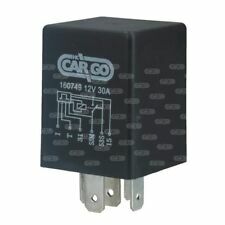 Hi Here is a glow plug relay ( PRC6913 ) it is for the Defender up to 06 , Discovery up to 98 and all Range Rover classic TDI's . Genuine Land Rover part and a better option then the reproduction equivalent. I would advise any overland or work vehicle to have a spare relay in the glove box could be a very expensive item in the middle of nowhere ! Large stocks of everything so please eBay message me . LAND ROVER DISCOVERY 2 TD5 FUEL PRESSURE REGULATOR REPAIR KIT WITH GASKETS KIT CONTAINS:1 X GASKET - MSX1000801 X GASKET - MSX0000103 X O RINGS - STC45091 X WASHER SEALING - ERR61921 X O RING - - ERR6761 PART NUMBER - FPR Manufacturers part numbers are used for identification purposes only. **** PLEASE READ OUR WARRANTY, RETURNS DELIVERY TERMSBEFORE BUYING. Equivalent to Land Rover PRC8876LED (used for reference only). Adjustable 4-pin LED Flasher Unit Relay. PARTS >> ACCESSORIES >> DEFENDER SERIES DISCOVERY 1 1989 to 1998 DISCOVERY 2 1999 to 2003 DISCOVERY 3 2005 to 2009 DISCOVERY 4 2010 to 2016 DISCOVERY SPORT 2015 on FREELANDER 1 1996 to 2006 FREELANDER 2 2006 to 2014 RANGE ROVER CLASSIC RANGE ROVER P38 RANGE ROVER L322 2002 to 2012 RANGE ROVER L405 2013 on RANGE ROVER SPORT RANGE ROVER EVOQUE UPGRADES >> TOOLS,OILS AND OTHER DIY >> Books Manuals and Gifts. 100% Genuine UK sourced Wipac product. 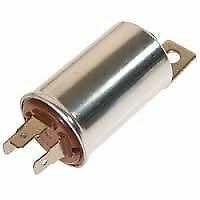 12v 6 Pin Electronic LED Flasher Unit 21w x6 Towing Durite Similar to Hella. LAND ROVER DEFENDER 90/110/130 INDICATOR FLASHER RELAY 4 PIN **MODELS UPTO 2007 WITH TOW SOCKET** LAND ROVER PART NUMBER - PRC8876 Manufacturers part numbers are used for identification purposes only. **** PLEASE READ OUR WARRANTY, RETURNS DELIVERY TERMSBEFORE BUYING. Part: YWB10004L. Landrover Discovery 2 / Range Rover P38 Horn Relay. It is always better to check if possible. 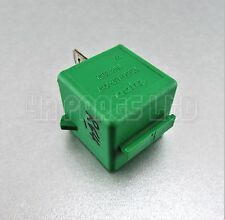 4 PIN INDICATOR FLASHER RELAY. ADJUSTABLE TO ALLOW FOR CORRECT FLASHER SPEED. LAND ROVER DEFENDER 90,110. 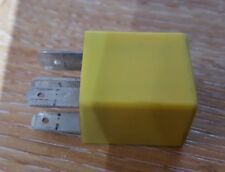 SUITABLE FOR OLDER TYPE INDICATOR RELAY CONVERTED. TO LATER LED TYPE LED INDICATORS. LAND ROVER DEFENDER 90/110/130 LUCAS INDICATOR FLASHER RELAY 4 PIN **MODELS UPTO 2007 WITH TOW SOCKET** LAND ROVER PART NUMBER - PRC8876G BP. LAND ROVER DEFENDER 90/110/130 MODELS 2007 ONWARDS - 12 VOLT WINDSCREEN WIPER INTERMITTENT DELAY RELAY UNIT WILL REPLACE ORIGINAL RED COLOUR UNIT FITTED 6 PIN / 12 VOLT PART NUMBER - AMR2341 Manufacturers part numbers are used for identification purposes only. **** PLEASE READ OUR WARRANTY, RETURNS DELIVERY TERMSBEFORE BUYING. 4 PIN FLASHER RELAY. LAND ROVER DISCOVERY 1. SUITABLE FOR MODELS WITH TOWING SOCKET. YWB500220 70amp. Land Rover Discovery 3 & 4 Air Suspension Compressor Relay. Land Rover Discovery 3 & 4. Land Rover Ranger Rover Sport. Land Rover Ranger Rover L322. Land Rover Ranger Rover Evoque. L R Parts Ltd is an authorized Bearmach distributor, we specialize in new Land Rover Spares, stainless steel bolt sets for Land Rovers and general maintenance parts. It isolates the two batteries while the alternator is not charging. Pictures are for reference only and specifications may alter without notice. Product specifications are given but it is up to the end user to ensure that the product is fit for that purpose. Bearmach Part Number: YWB500210. Genuine Bearmach High Quality Components. known all over the world for high quality parts. L R Parts Ltd is an authorized Bearmach distributor, we specialize in new Land Rover Spares, stainless steel bolt sets for Land Rovers and general maintenance parts. Part Number: PRC8878. 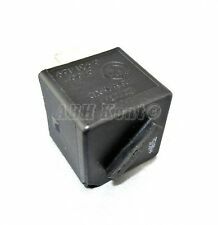 Land Rover Defender / RRC - 5 Pin 12V Flasher Indicator Relay with guide socket. 12v Max 140W. It is always better to check if possible. 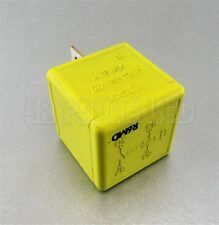 OE part number for reference only: PRC6913. Defender, All models, 2.5TD, 200Tdi and 300Tdi, TD5, 1987-2006. Discovery 1, All models, 200Tdi and 300Tdi 1989-1998. Range Rover Classic, All Models, 200Tdi and 300Tdi 1992-1994. Sobald die Scheibe bei einsetzendem Regen nass ist, wird der Scheibenwischerhebel auf „Intervall” geschaltet. Der Scheibenwischer reinigt die Scheibe, bevor er für die Programmierung des Intervalls wieder abgeschaltet wird. LAND ROVER FREELANDER TD4 DIESEL. 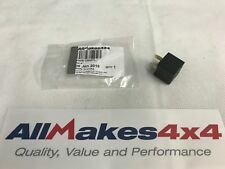 LAND ROVER DEFENDER 90/110/130 WIPAC INDICATOR FLASHER RELAY 4 PIN FOR USE WITH LED LAMPS **MODELS UPTO 2007 WITH TOW SOCKET** PART NUMBER - PRC8876LED Manufacturers part numbers are used for identification purposes only. **** PLEASE READ OUR WARRANTY, RETURNS DELIVERY TERMSBEFORE BUYING. Land Rover Defender -. Land Rover Discovery - 200TDI/300TDI. UK Mainland Orders. Recovery 4x4 are authorised distributors for Allmakes 4x4, Bearmach and Britpart Land Rover parts and accessories. PART NUMBER - PRC6913. Land Rover Defender 90/110 Flasher Relay For LED Indicators. L R Parts Ltd is an authorized Bearmach distributor, we specialize in new Land Rover Spares, stainless steel bolt sets for Land Rovers and general maintenance parts.